England has some relevant back story here as well: “I used to run scientific conferences in West Africa, to make leading scientific researchers, and problem solvers in general, in the West all the more aware of the pressing concerns of the developing world,” he explains in an e-mail. While his company, Mangosteen, ultimately wound down almost 10 years ago, he now sees the Ebola outbreak as proof that the West needs to pay more attention to what happens in Africa. Ultimately, it was frustration that led England to make the map and share it on his Twitter account, which he uses to post information about Ebola. It has since spread around the Internet, with his initial post retweeted hundreds of times. Of course, there are some caveats to the map. 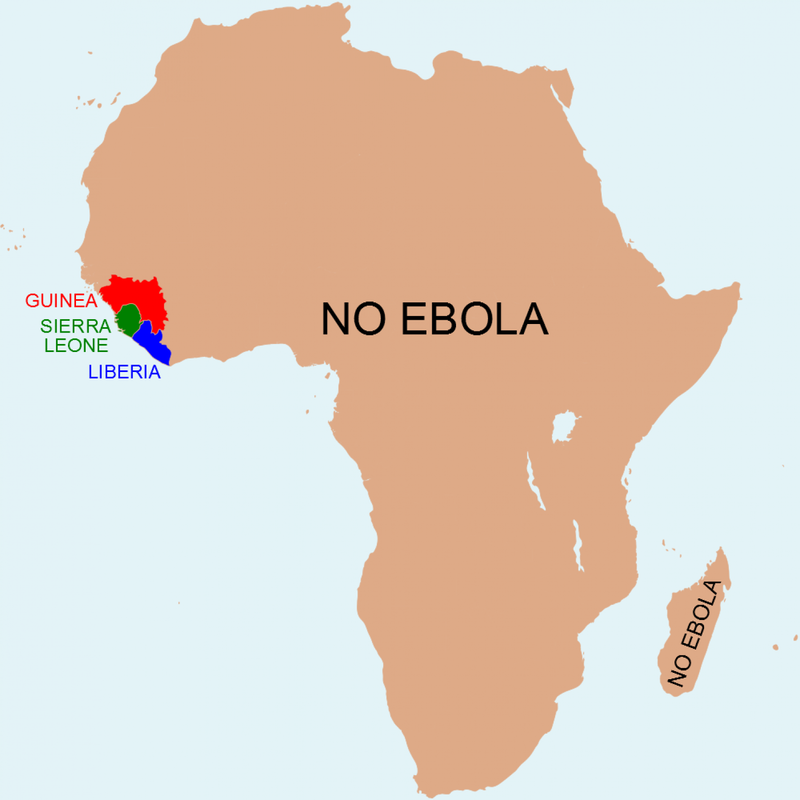 England’s decision to not include Mali or the DR Congo, despite the fact neither have been declared free of Ebola, has caused some thoughtful criticism. England writes that he understands the criticism, but his point still stands: “There are only 3 problem countries, and the world needs to know that,” he explains. It’s a fair point. Africa is a vast, under-covered continent and Westerners often have trouble understanding its geography. To put Africa’s size into perspective, this map was created by Kai Krause.